Nintendo may have already announced their Labo VR Kit, it’s included games, and the upcoming VR support for The Legend of Zelda: Breath of the Wild and Super Mario Odyssey… but that’s not all, folks! Revealed through the official Japanese Super Mario Odyssey Twitter page, Nintendo has also announced that Super Mario Odyssey will be receiving an additional VR mode. Joining the bonus VR challenges in the Luncheon, Seaside and Cap Kingdoms will be another VR experience, known as “Theatre Mode”. Super Mario Odyssey’s Theatre Mode will allow players who own either the Nintendo Labo VR Kit or Starter Set to watch various in-game cut-scenes using the Toy-Con VR Goggles. Featuring additional VR depth, the new mode is pegged to provide fans with a new level of immersion and will surely breath new life into this best-selling title. 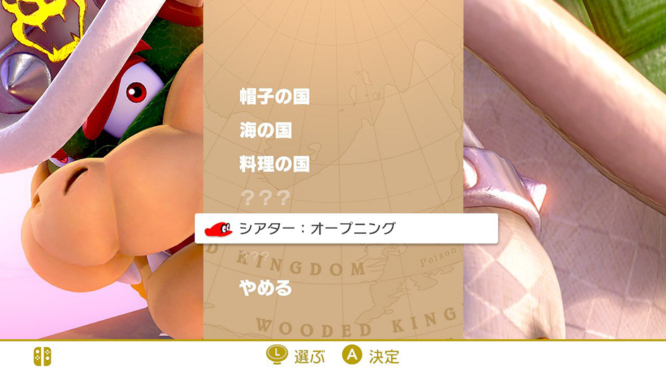 The VR update for Super Mario Odyssey, packing both the bonus challenges and newly announced Theatre Mode, is set to be distributed on April 25th 2019. The Legend of Zelda: Breath of the Wild will also receive it’s very own VR compatibility update on the same date. Get ready to enjoy these Nintendo staples in VR on April 25th, and look out for the Nintendo Labo VR Kit and Starter Set arriving on April 12th!